First Tracks Lodge, Evolution and Legends Offer "Home Away From Home"
WHISTLER, BC May 10, 2010 - After an unforgettable winter, Whistler Creekside is ready to embrace summer and reveal why locals love this quaint little neighbourhood just down the road from bustling Whistler Village. Lodging Ovations' collection of upscale resort hotels are the perfect home base for exploring all Whistler has to offer, while providing a relaxed and intimate gathering place for family and friends. "Whistler Village boasts most of the action but Creekside, located just five minutes away from the main pedestrian village, has its own special charm," says Jaime Dunn, Director of Sales and Marketing for Lodging Ovations. "In the winter we are just steps away from the slopes while in the summer walking or bike riding on the Valley Trail takes our guests to numerous lakes and parks within minutes. Also, every weekend a bustling Farmer's Market provides local artisans, bakers and Pemberton fruit and vegetable producers an opportunity to showcase their wares." Guests are invited to extend their stay with 50 percent off the third night booked at any Lodging Ovations property in Whistler Creekside. The offer must be booked before June 30. Some restrictions may apply. Visit www.lodgingovations.com for more information. While each Lodging Ovations resort hotel has its own unique personality and attributes, the following amenities are available in all properties: complimentary wireless internet, high definition flat screen televisions (First Tracks Lodge and Evolution), fully outfitted kitchens, fireplace, private balconies. Large outdoor pools, hot tubs, sundecks and barbeque areas, as well as saunas, steam rooms, and fitness facilities are also located on each property. First Tracks Lodge - For the discerning traveller seeking peace and quiet Currently ranked No. 6 of 56 on Tripadvisor.com's list of Whistler hotels, First Tracks Lodge offers an exquisite collection of suites with the atmosphere of a private mountain residence. Stainless steel appliances, granite countertops and rich interior design featuring stone, slate and glass blend to create unparalleled luxury in this home away from home. Evolution - For the hip and trendy set looking for their "natural environment" the newest property in the Lodging Ovations group, Evolution opened its doors in the spring of 2008. Fresh and modern is the theme at this dynamic property located just steps from Creekside's amenities. Miele appliances stock every unit, but the poolside barbeque will beckon for social gatherings. Evolution is a pet-friendly property. Legends - For value-minded families searching out reconnection and convenience Located literally steps from the Creekside Gondola, Legends shines in the summer. A large outdoor pool and a grassy expanse offer a place for play just in case exploring Whistler hasn't tuckered the kids out. Spacious suites featuring fully stocked kitchens make meal times a breeze while separate bedrooms allow for early bedtimes and adult playtimes. 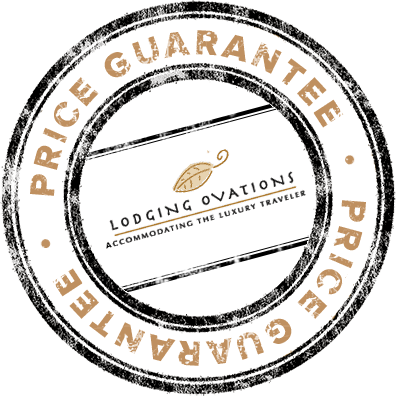 Lodging Ovations properties can also accommodate business travellers with 2,200 square feet of meeting space capable of comfortably hosting groups of all sizes from 10-160 people. Lodging Ovations Lodging Ovations, a subsidiary of Intrawest ULC, in Whistler, British Columbia, Canada, is a collection of upscale resort hotels offering guests a 'home away from home' experience. Proudly managing First Tracks Lodge, Legends Whistler and Evolution, Lodging Ovations offers a total of 275 suites ranging in size from one to four bedrooms. Based in Whistler Creekside - home of the 2010 Olympic and Paralympic Winter Alpine events, Lodging Ovations is a base point for experiencing a memorable Whistler getaway. Download this Summer in Whistler Creekside media release in PDF format.